More about the heights of Richard and George…. The heights of the two younger York brothers has always been a mystery. Richard III had always been regarded as the smallest brother, both in height and build, and then Dr John Ashdown-Hill put forward his belief that the middle brother, George, Duke of Clarence, was the shortest brother. Read on…. 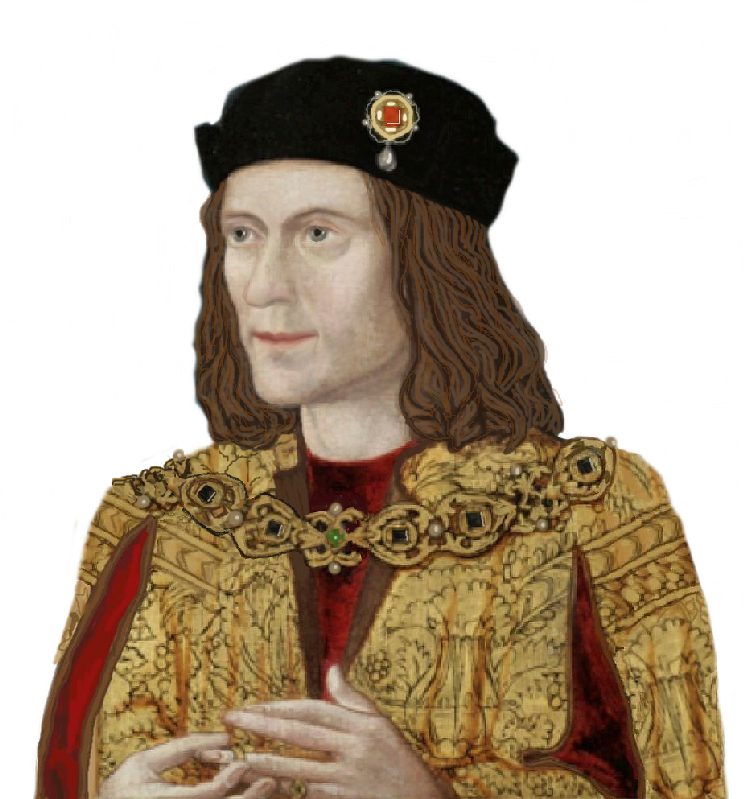 Would this tie in with the belief that Richard and George were sons of Richard Plantagenet, Duke of York and king by right, whereas Edward was not? – There is no indication whatsoever how tall Richard, Duke of York was. There’s only a mention of Cecily Neville being short (by Hall). – Margaret of York was known to be tall, about 6′, which is about as impressive height for a woman as Edward’s was for a man. Why isn’t anyone saying that she was not Richard’s daughter? – The Plantagenets in general had lot of tall people. Richard the Lionheart, Edward the Longshanks, Edward II, Richard II and his half-brother John Holland (incidentally, suspected to be Rchard, Duke of York’s biological grandfather – which is at least a more credible rumor than the incredibly unlikely Cecily/Archer story) were all at least 6′ tall. It’s funny that, on the other hand, Charles I and his wife are known to have both been very short (Charles was probably the shortest adult male monarch of England ever), but there are no rumors that Charles II (6’2″) wasn’t his biological son. Maybe in that case people realize that traits sometimes skip a generation. Charles I’s growth was greatly restricted by childhood polio, of course. James VII/II was also quite tall. Yes. As you say, Lionheart was tall (and fair haired) whilst his brother John was about 5ft 5-ish and dark. As far as I know, no one questioned their paternity. Correct me if I’m wrong, but did the chronicler say anything about the heights, actual or relative, of the two boys, or about their appearance at all? He might have been judging by factors other than appearance – maturity of behavior, for instance. Were the ‘modern’ boys in the graph actual individuals, or statistical averages? And while we can calculate average heights in the 15th century (a little less than now), the range of height was pretty much the same. I don’t think this is overwhelmingly convincing. Boys grow at different rates and often have growth spurts. For example, my husband, whom I met when we were both fifteen was several inches shorter than me then, but when I met him again about a year later he was about two inches taller than me, so he must have grown about 5 inches in a year. Others grow at a steadier rate. As for the illustrations, who knows how accurate they were? True. Jimmy Carter was something like 5’4″ right up until he was was a cadet at Annapolis, then grew six inches in a year. The only thing we can tell for sure about George’s height is that there is no explicit indication of or evidence about his adult height in any of the contemporary and near contemporary accounts, at all. While it would be nice to think that some remains of both George and Isobel have survived in the vault I am unconvinced by this height speculuation. For one thing the drawings might not have been done to scale.